Easy to learn, hard to detect. A booklet of routines that use the Si Stebbins stack. 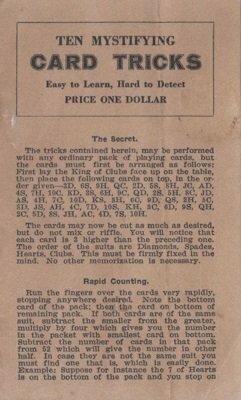 This is an early publication by Hugh Johnston predating his larger Modern Card Miracles by several years. Includes research on its likely publication date by Chris Wasshuber.